Homewatch CareGivers manages their employees through an electronic check-in system. Immediately upon entering a client’s home, our caregiver will call into our online time management system from our client’s home phone. Our system recognizes the telephone number in-use and confirms that our caregiver is inside of the client’s home at the appropriate scheduled time. At the end of the scheduled shift, the caregiver will use the same process to check out. This is a fool proof way to ensure the caregiver is at the location they are scheduled to be, as well as a way to calculate the number of hours a caregiver is spending in the client’s home. If a check-in is not received from the caregiver at the start of their scheduled shift, our office staff receives an email and text message alerting them to make contact with the caregiver to ensure they are at the client’s home or if there is an emergency taking place with our caregiver or client keeping then from beginning the shift. Click image below to see an enlarged view. Caregiver X calls from client’s home phone. Caregiver is clocked in on our system with a green phone appearing next to their check-in time. A green phone means that the caregiver has called from the client’s registered phone number. A red phone will appear when the caregiver calls from an unregistered or personal phone. Our office will note this and follow up with the caregiver. 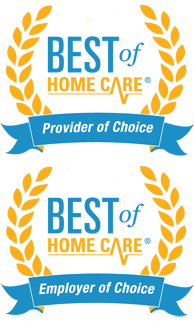 Homewatch CareGivers – Chicago and the North Shore’s Trusted Source for In-Home Caregiver Services Helping Seniors Live Safely and Independently in their Homes. Homewatch CareGivers offers in-home health care services throughout Chicago and the North Shore suburbs including both Cook County and Lake County. We provide our home care, senior care and dementia care services to residents of Arlington Heights, Buffalo Grove, Chicago, Deerfield, Des Plaines, Evanston, Glencoe, Glenview, Highland Park, Fort Sheridan, Highwood, Kenilworth, Lake Forest, Morton Grove, Niles, Northbrook, Park Ridge, Lincolnshire, Lincolnwood, Libertyville, Skokie, Wilmette and Winnetka.